In our time, photos were all processes, we have almost all our daily life trying to capture photos and show all these pictures to the public. Another fixture for this entertaining process offered for Your review is smart-hookah "Innovator". Not quite that happy, but willing to sit at the table with friends and comrades around the hookah more and more. Hundreds of thousands of images is laid out in a network with this kind of perspective. To simplify the process photos and video, to the top of the Shisha mounted camera through which Smoking or just people from a particular company has the ability to take pictures of yourself and others. Of course, the hookah has the option of pairing with any gadget, to control the shooting process and the transfer of photo and video materials. The camera can be installed as one, with the possibility of shooting circular or several, to improve the quality of the overviews. In a separate configuration there is the possibility of installing cameras night shooting. The very mobile application allows you, as was stated previously, to fully control all processes work smart Shisha, and even of the Smoking process in which the compact and noiseless pumps have the ability to smoke the Smoking mixture of the hookah. We have hookah, which combines the convenience of Smoking and the combination of some processes in modern public communication. Without exaggeration I will say that this is a new fashion trend in modern world of mobile smart devices. 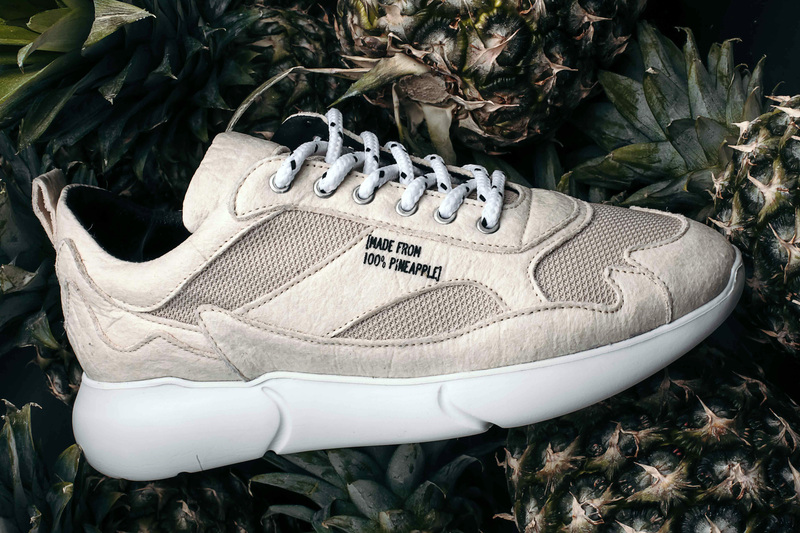 The Mercer Amsterdam brand introduced sports shoes made from recycled pineapple leaves. A shoe maker buys raw materials in the Philippines from local crop pickers. Then, a microfiber is produced from the plant fiber, - reports Around the World. This process, according to the manufacturer, does not require large amounts of water and electricity, and the material itself can be an alternative to natural leather. These sneakers are worth 250 euros. They will go on sale after March 31, but for now are available for pre-order.